Setting up the Autonet router was easy. The arm rest of the equinox had a deep well and a power port where we could just put the router in and keep it out of the way during our trip. If we did not have that, I’m not sure where we would have hidden the router, considering it was the size of a home router. We opted not to put a password on the router, since anyone who would leech off it would have to keep up with us on the highway. Connecting to the router from our assorted laptops tended to be an issue at times. We would select the router from the wifi menu and then try to go to a website and wait while a screen with a login button appeared. I don’t know if it needed to connect to an external server somewhere to validate the permission to access the login page, which resolved the the router’s local IP address. If the page was local, it should not have taken so long to load. If we tried to do anything but access the web, like SSH or VPN, it was much quicker to get access. Once the router connected us to the web, it had reliable 3G speeds in city, would occasionally drop to 1x speeds in more rural areas, and the only real problems we had was when we were far from cities and couldn’t get a reliable signal. Autonet used the Sprint network to carry its data signal and we often saw it drop off in the middle of nowhere when our Verizon devices still had connections. We were able to check the signal strength of the connection by logging into the router with a browser and getting up to the minute status of the connection to Sprint and the router itself. Of course, even with all the videos we were creating and editing, 3G speeds would take 30-60 minutes to upload a video. 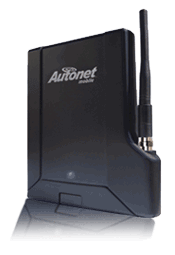 Overall, the Autonet router isn’t a bad device if you are staying near cities or someplace where there is good cellular reception. It would be moreso if there wan’t the long wait time to connect to the screen to click the login button and start actually using the web.